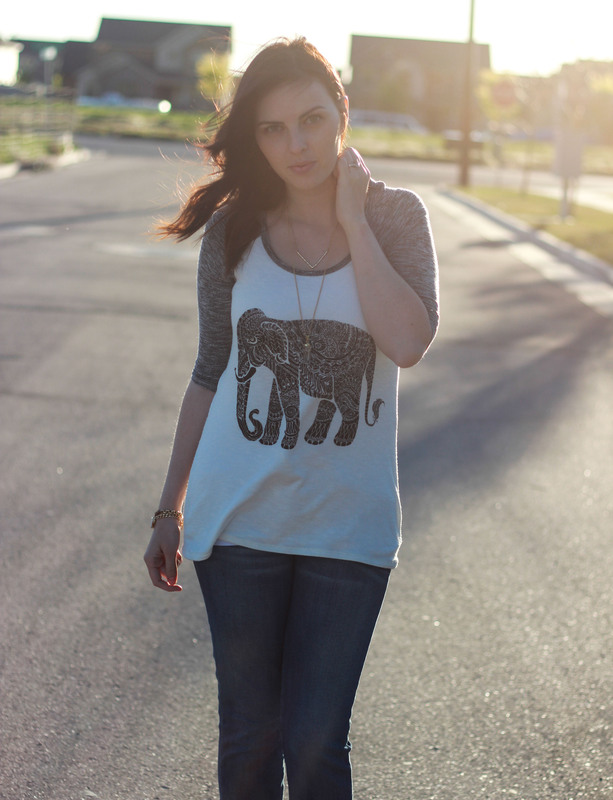 Janelle In Real Life: springtime & elephants. Happy Memorial Day! Steven is home today and Carson & I are beyond excited about that. Today's post will be short and sweet so that I can spend more time with my cute boys! 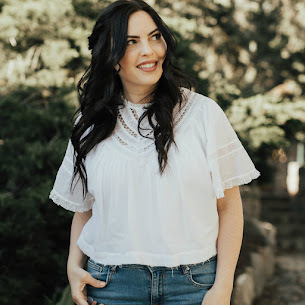 This was a perfect casual, springtime outfit in my opinion. 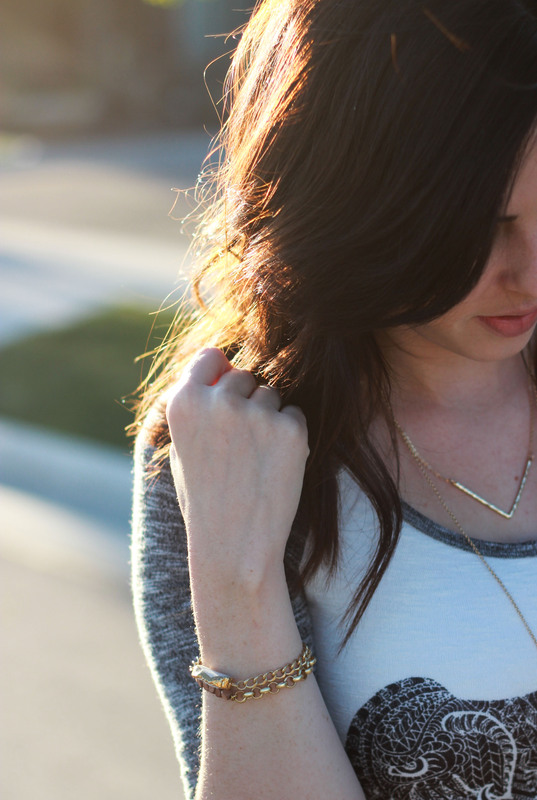 I'm a lover of fun jewelry AND my shirt has an elephant on it. Whaaaat? So great. Hope you all are having a lovely 3-day weekend! 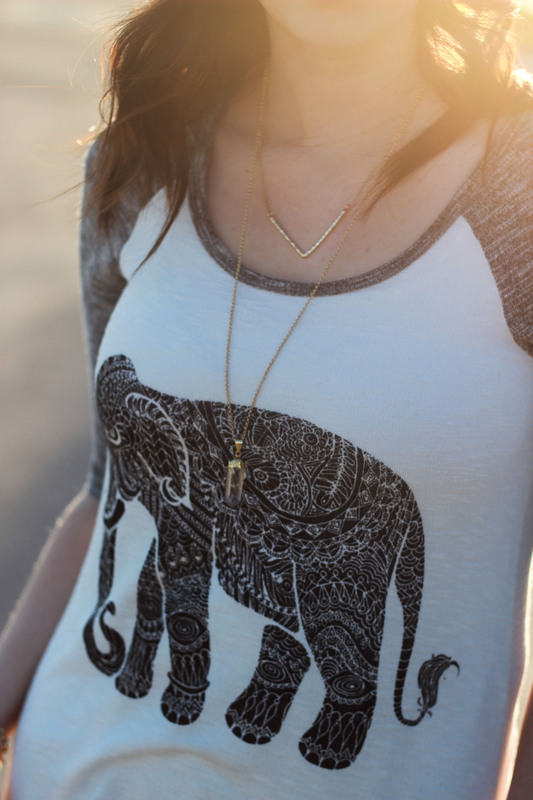 I am so obsessed with graphic tees these days, and this elephant is just too cute! 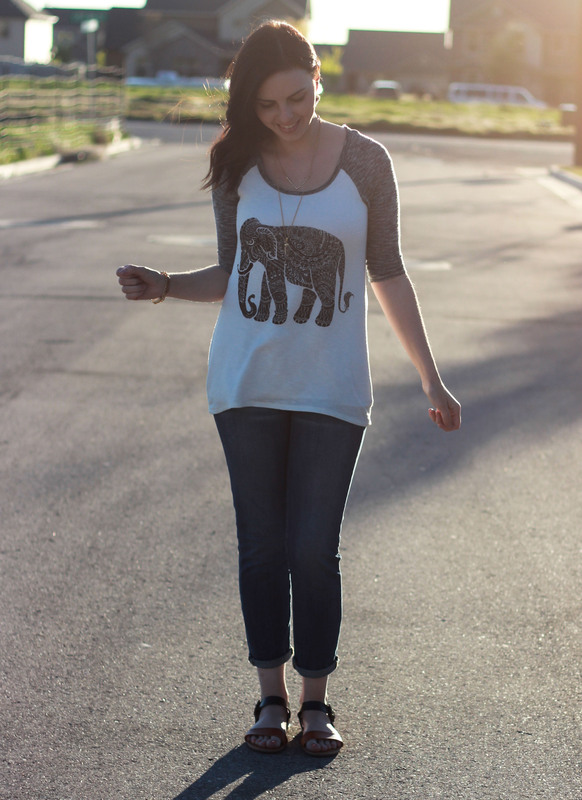 Loving this elephant top! 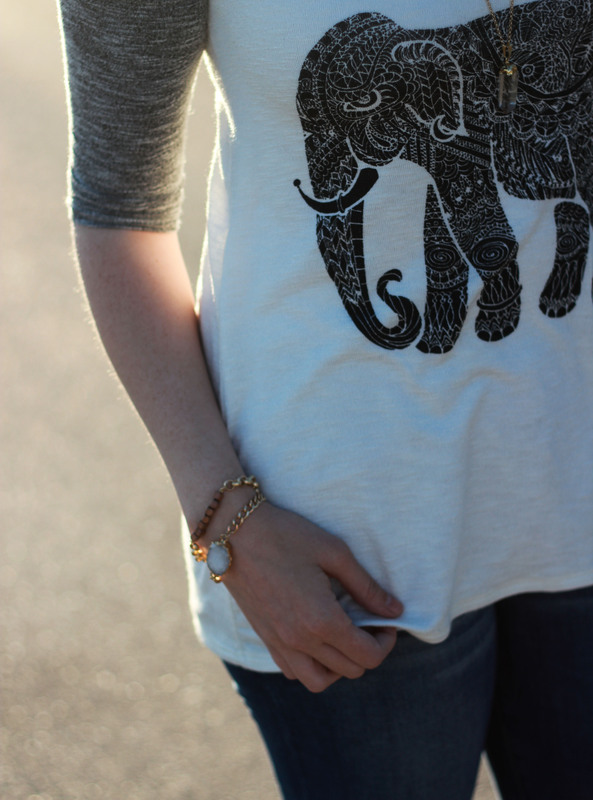 Obsessed with graphics and elephants, so this is perfect!